Trails are one of the best ways that land trusts connect people with nature! Illinois Trail Corps and Grand Prairie Friends invite all conservation land trusts from around our State to tour and learn from the trail development project at Warbler Ridge, just south of Charleston, Illinois. You’ll find a map HERE for the location. To register for this outdoor excursion, click HERE to reserve your spot! 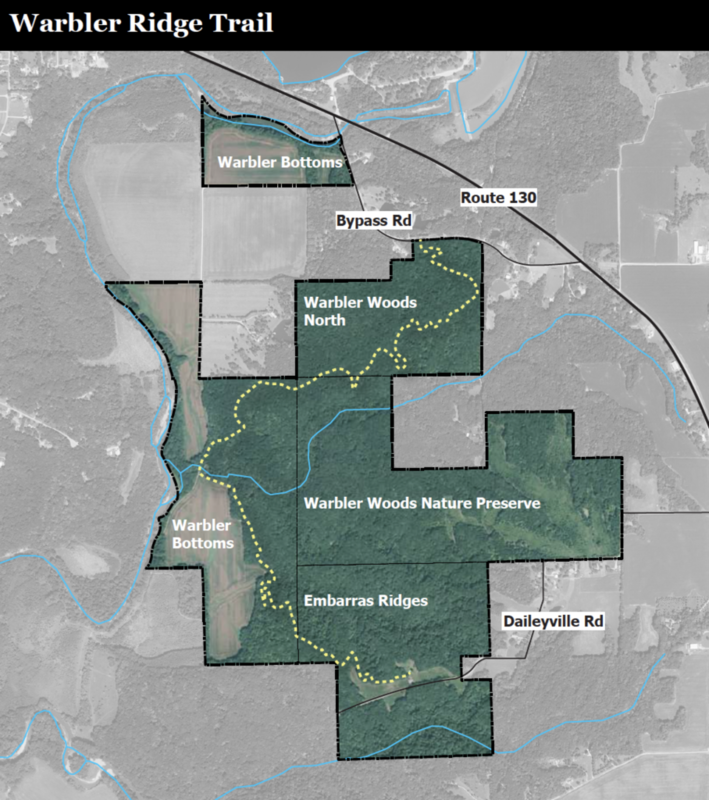 The Warbler Ridge trails project is a partnership between Grand Prairie Friends and Illinois Trail Corps, a program of the non-profit Trails for Illinois. 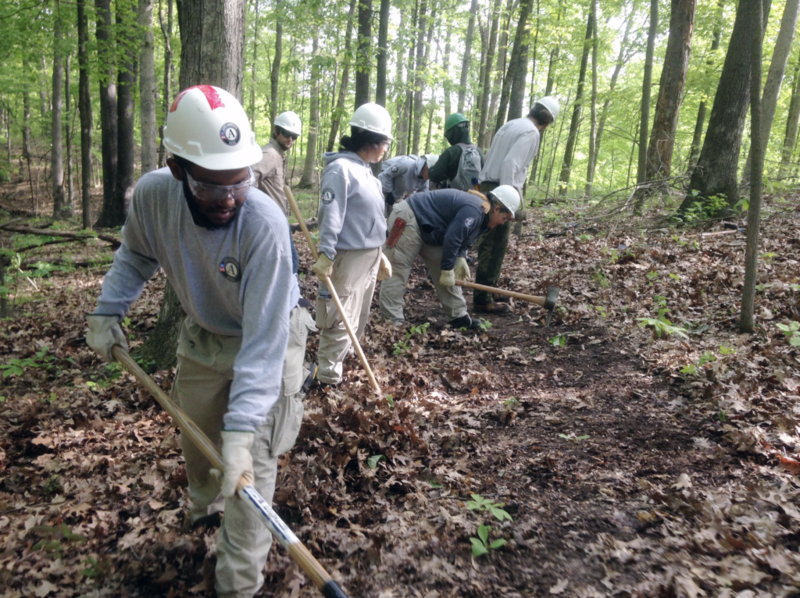 Illinois Trail Corps helps public agencies, conservation land trusts and trail groups plan, design and build natural surface, non-motorized trails that encourage people to enjoy and explore the outdoors while minimizing ecological impact and maintenance. BONUS: A guided tour of the Woodyard Conservation Area, just up the road from Warbler Ridge. The world-class mountain bike trail system at Woodyard grew out of a conversation and then a partnership between the mountain bikers, the City of Charleston, local conservationists and birders to better steward and protect its 206 acres while increasing its value to Charleston’s economy and quality of life. Looking forward to meeting you at Warbler Ridge!